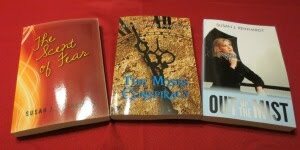 Take one young woman with a distant father and a handsome, but abused, man and you get a volatile relationship. Penny and Trent Taylor live their lives in a haze of alcohol and co-dependency. Gina Holmes paints a picture of the physical abuse and mind games that leave the victim in perpetual confusion. Her powerful writing and hope infusion left this reader wanting more stories. 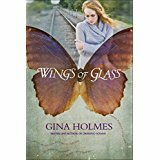 5 Stars for Wings of Glass. Disclaimer: I can't recall how I got this book - perhaps a free promotion. Neither the author nor the publisher paid me for a favorable review. All opinions expressed are my honest evaluation of the story. Writers and Readers: Do character-driven novels give you that strong, emotional reaction? Please share.